I’ve been excited about The Next Together for a long time. I read it when it was still a Word document, and loved the clever storyline and swoony romance. It’s a real mix of genres, from romance to historical to sci-fi, and uses various forms of media (emails, pie charts, maps etc.) which look amazing in the finished book. 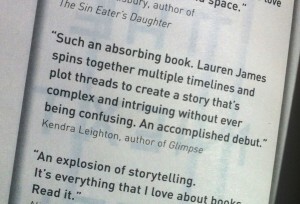 The final copy also includes a quote from my original review — my first author blurb! 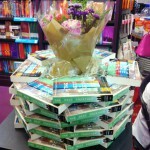 The launch party was lovely, with books, flowers, wine, and book-cover-themed cupcakes dotted around. 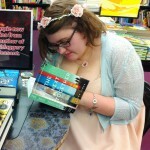 I got to catch up with some bookish friends and meet some new ones (bookish people are the nicest). 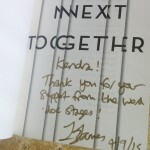 And, of course, I got my copy of The Next Together signed! 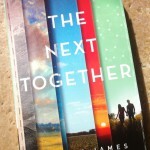 If you haven’t grabbed a copy of The Next Together yet, make sure you do! I’m excited to see what happens next with book two, The Last Beginning. Aww, sad I couldn’t be there! Would have loved to see you again Kendra. 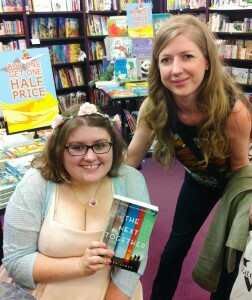 Got to meet Lauren at a Walker Books event and I have The Next Together lined-up as one of my next reads. I’ve heard so many great things about it so I can’t wait! 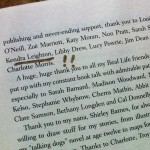 It would have been lovely to see you too, Ashleigh! Hopefully will bump into you at a book event soon. 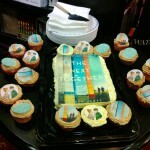 The Next Together is fabulous, enjoy! Looking forward to hearing what you think.